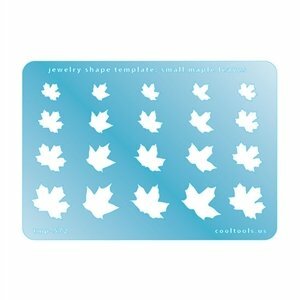 Includes 10 leaf shapes. Sizes are from 9.5mm to 19mm. 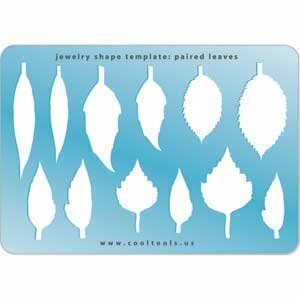 Jewelry Shape Templates by Cool Tools can be used to create fabulous shapes in silver, copper, bronze, polymer and ceramic clays or sheet metal. This great tool can be used for any craft project. To use with clay, rather than cutting out a complicated pattern, press the template into the clay slab and cut around the impression. To create the impression on clay, start with a plain or textured slab placed on a Cool Tools Tuff Card or other work surface. Position the template over the slab. Press the template, which has been misted with Cool Slip, into the clay. 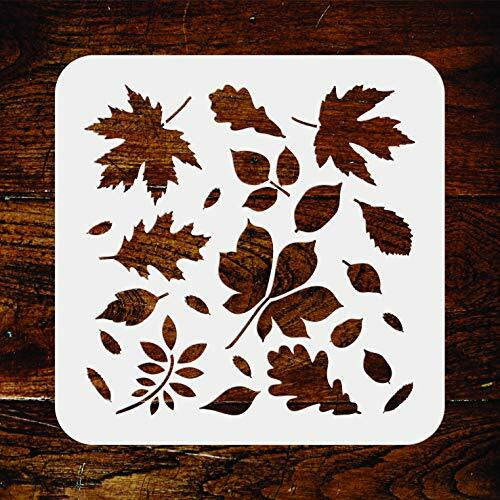 You can use your fingers to press around the design using firm pressure, or place an acrylic disc or work surface over the template shape and press firmly. Remove the template and cut away the excess clay with a needle tool. A needle tool can also be used to cut the shape directly, using the template edges as a guide. Use a very fine needle tool. Start at the outside corners and cut to the inside corners for the cleanest cuts. Remove the template and lift away the excess clay. 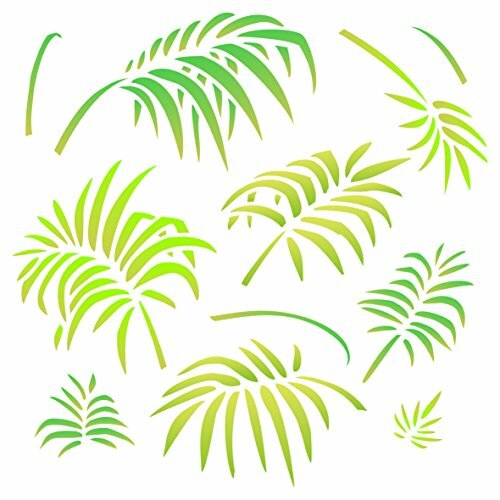 Palm Leaves Stencil - 10 x 10 inch (M) - Reusable Large Tropical Palm Fronds Wall Stencil Template - Use on Paper Projects Scrapbook Journal Walls Floors Fabric Furniture Glass Wood etc. 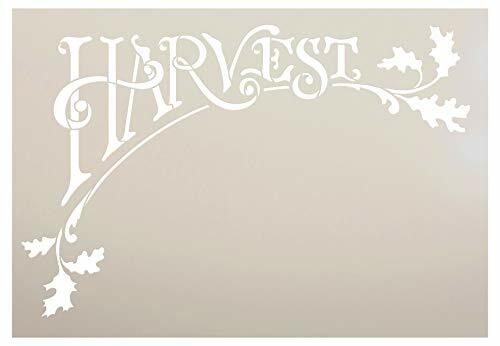 Leaves Stencil - 10 x 10 inch - Reusable Autumn Fall Leaf Flora Wall Stencil Template - Use on Paper Projects Scrapbook Journal Walls Floors Fabric Furniture Glass Wood etc. 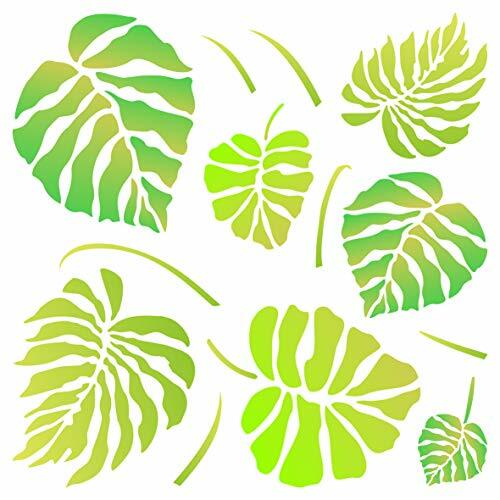 Monstera Leaves Stencil - 6.5 x 6.5 inch (S) - Reusable Large Tropical Philodendron Wall Stencil Template - Use on Paper Projects Scrapbook Journal Walls Floors Fabric Furniture Glass Wood etc. Jewelry Shape Templates by Cool Tools can be used to create fabulous shapes in silver, copper, bronze, polymer and ceramic clays or sheet metal. This great tool can be used for any craft project. To use with clay, rather than cutting out a complicated pattern, press the template into the clay slab and cut around the impression. To create the impression on clay, start with a plain or textured slab placed on a Cool Tools Tuff Card or other work surface. Position the template over the slab. Press the template, which has been misted with Cool Slip, into the clay. 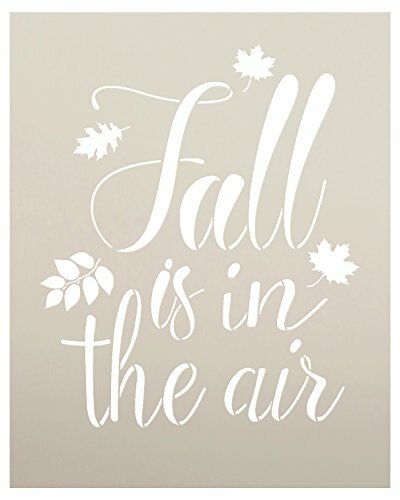 You can use your fingers to press around the design using firm pressure, or place an acrylic disc or work surface over the template shape and press firmly. Remove the template and cut away the excess clay with a needle tool. A needle tool can also be used to cut the shape directly, using the template edges as a guide. Use a very fine needle tool. Start at the outside corners and cut to the inside corners for the cleanest cuts. Remove the template and lift away the excess clay. 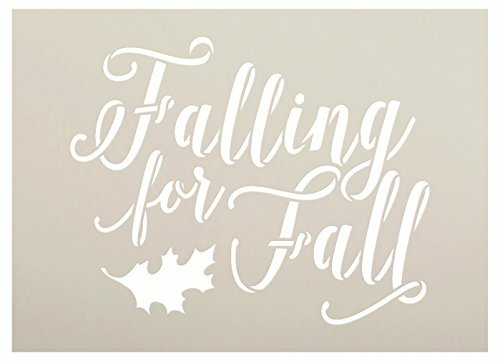 Want more Autumn Leaves Templates similar ideas? Try to explore these searches: Half Blade, Nickel Adjustable Pop, and White Diamond Square Ring.